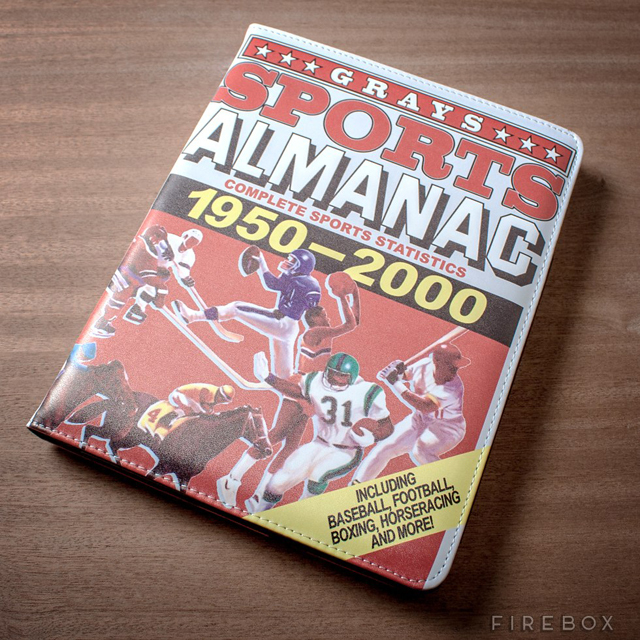 Firebox has released a Back to the Future iPad Case that quickly turns your ordinary iPad into the Grays Sports Almanac from the iconic 1985 film, Back to the Future. This destiny changing case will protect your device (really) and make you rich (not really)! It is available to purchase online. 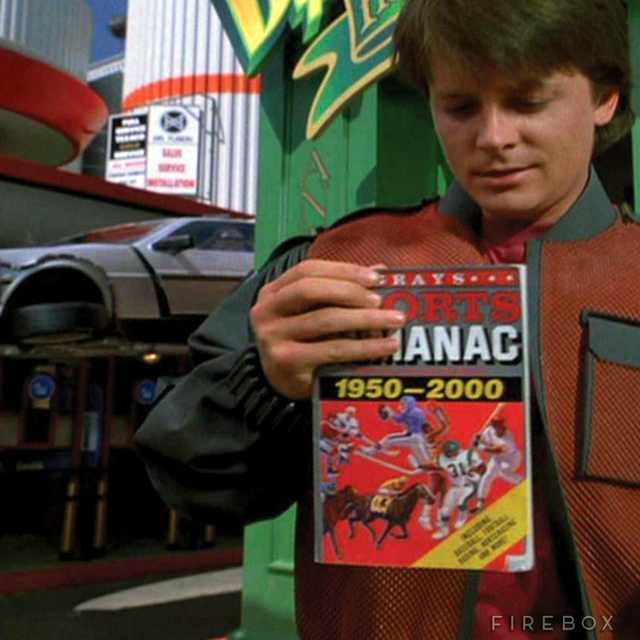 It’s what old Biff gave to young Biff in 1955 which he eventually used to become a crooked millionaire (in the process ‘killing’ the old version of Biff) by betting on all the sporting events that had yet to happen, but which this almanac had the results of inside. Marty McFly (McFlyyyyyyyy!) eventually nicks it back and knackers Biff’s plans, which is a bit selfish. 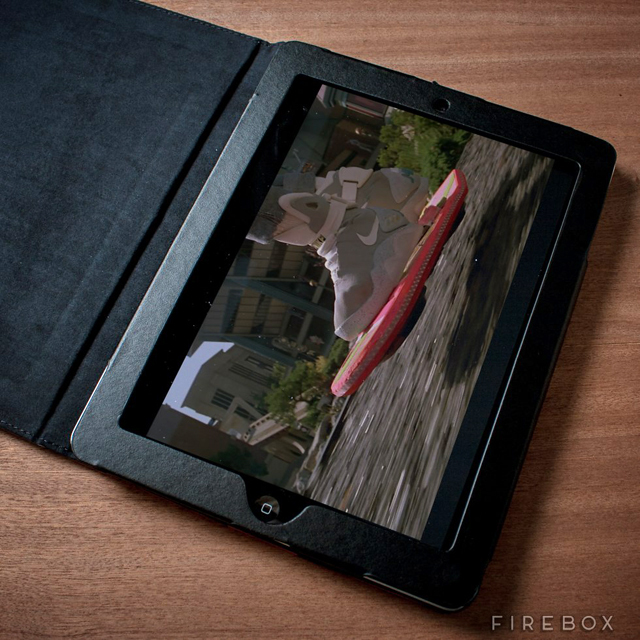 What makes this SO ingenious, is that with your iPad wedged safely inside – you could use the internets to easily find the actual results of all the sports results – and create your own golden future. If you only could find the keys to the DeLorean.